Where Casual and Elegant Women’s Clothing and Accessories Meet. 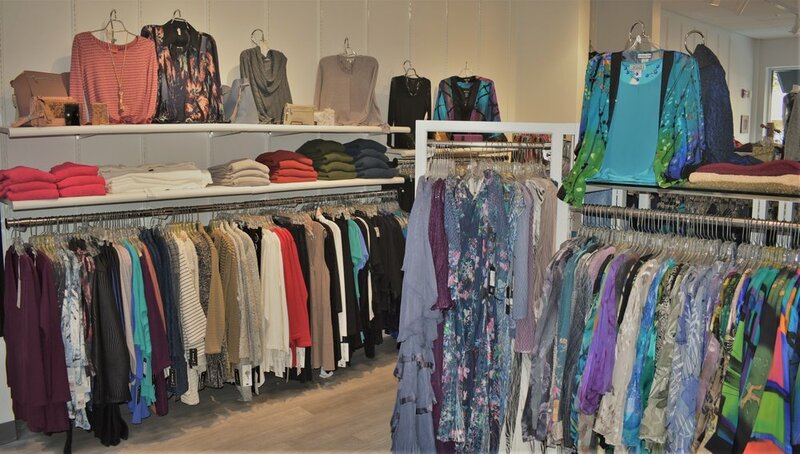 A fashion forward women’s clothing and accessories boutique offering a unique blend of special occasion and casual clothing designed for comfort. This one-stop-boutique caters to dressing women in beautifully coordinated clothing with matching accessories including shoes and jewelry. Many of CambridgeWear’s clothing lines are made of natural fibers for comfort, and are designed and made in the United States. Fair trade and eco-friendly clothes and accessories add color to our international collection while ethically supporting the artisans, special programs and the environment. Our knowledgeable staff is always ready to assist you in finding the perfect outfit and accessories to enhance your wardrobe. If you would like to order something you see on our website and have it shipped to you, including a Gift Certificate, we are happy to make those arrangements for you. Our contact information is: 617-993-3687.